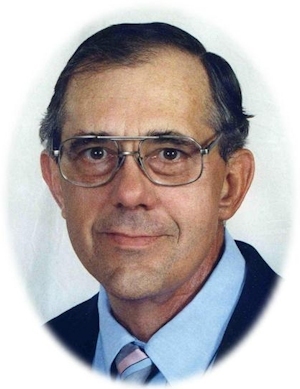 Obituary – Luthye, John Louie « Perry High School Alumni Association, Inc. The funeral for John L. Luthye, 61, of Perry, will be 2 p.m. Friday, Sept. 18, 2009, at First Baptist Church, Perry. Pastor Steve V. Smith will officiate. Burial will be in Grace Hill Cemetery. Arrangements are by Brown-Dugger Funeral Home, Perry. Family visitation will be 6-8 p.m. Thursday, Sept. 17, 2009, at the funeral home. He was born Oct. 27, 1947, in Enid to Earl and Mildred Luthye and died Tuesday, Sept. 15, 2009, at Deaconess Hospital, Oklahoma City. 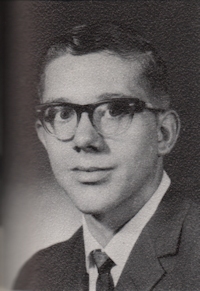 He was a 1965 graduate of Perry High School and attended Oklahoma State University for three years. He married Linda Rutherford Sept. 21, 1968, in Perry. He worked at Stillwater Milling Co. from 1967 to 1968. He then worked at Swan Rubber Co. until 1974. He then worked for Charles Machine Works from 1974 to 2001. In 2006, he began work for Payne’s Lawn and Power. He was a member of First Church of the Nazarene. Surviving are his wife, Linda; his children, Evan Luthye of Enid, Ryan Luthye of Choctaw and Pam Luthye Barber of Perry; two brothers, David Luthye and Jim Luthye, both of Perry; one sister, Elizabeth Payne of Torrance, Calif.; and four grandchildren. Memorials may be made through the funeral home, 1010 N. 7th Street, Perry, OK 73077 to First Church of the Nazarene or the charity of donors choice.